by March 31, 2021, the product known as “BB2121” for the treatment of relapsed/refractory multiple myeloma in humans. BMS has agreed to use “Diligent Efforts” (as defined in the CVR Agreement) to achieve the foregoing milestones. In addition, BMS has agreed to use reasonable best efforts to maintain the listing of the CVRs on the New York Stock Exchange or other national securities exchange for so long as any CVRs remain outstanding. The foregoing description of the CVR Agreement is not complete and is qualified in its entirety by reference to the CVR Agreement, which is filed as Exhibit 10.1 hereto and is incorporated herein by reference. On January 2, 2019, BMS entered into a bridge facility commitment letter (the “Commitment Letter”) to which Morgan Stanley Senior Funding, Inc. and MUFG Bank, Ltd. have committed to provide a 364-day senior unsecured bridge term loan facility (the “Bridge Facility”) in an aggregate principal amount of $33.5 billion to finance the acquisition by BMS to the Merger Agreement. The Bridge Facility will be drawn upon in the event that BMS has not issued and/or received a combination of proceeds, together with available cash on hand, from (i) unsecured debt securities, (ii) term loan facilities and revolving credit facilities and (iii) commercial paper, prior to or concurrently with the consummation of the Merger. The commitment is subject to customary conditions. The foregoing description of the Commitment Letter does not purport to be complete and is qualified in its entirety by reference to the full text of the Commitment Letter, which is attached hereto as Exhibit 10.2 and is incorporated herein by reference. In connection with the proposed transaction between BMS and Celgene, BMS and Celgene will file relevant materials with the Securities and Exchange Commission (the “SEC”), including a BMS registration statement on Form S-4 that will include a joint proxy statement of BMS and Celgene that also constitutes a prospectus of BMS, and a definitive joint proxy statement/prospectus will be mailed to stockholders of BMS and Celgene. INVESTORS AND SECURITY HOLDERS OF BMS AND CELGENE ARE URGED TO READ THE JOINT PROXY STATEMENT/PROSPECTUS AND OTHER DOCUMENTS THAT WILL BE FILED WITH THE SEC CAREFULLY AND IN THEIR ENTIRETY WHEN THEY BECOME AVAILABLE BECAUSE THEY WILL CONTAIN IMPORTANT INFORMATION. Investors and security holders will be able to obtain free copies of the registration statement and the joint proxy statement/prospectus (when available) and other documents filed with the SEC by BMS or Celgene through the website maintained by the SEC at http://www.sec.gov. 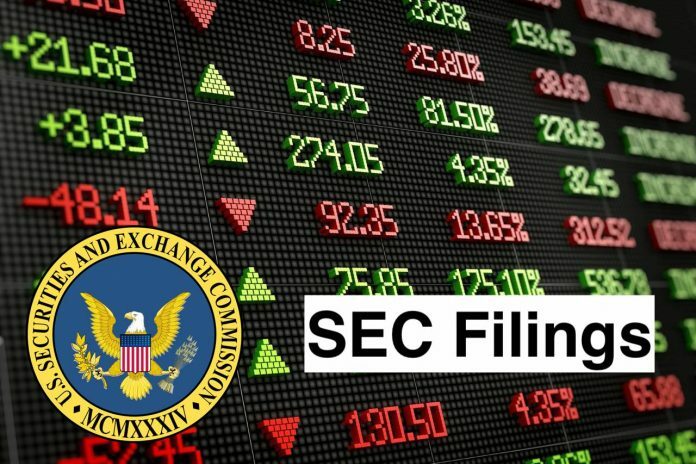 Copies of the documents filed with the SEC by BMS will be available free of charge on BMS’ internet website at http://www.bms.com under the tab, “Investors” and under the heading “Financial Reporting” and subheading “SEC Filings” or by contacting BMS’ Investor Relations Department through https://www.bms.com/investors/investor-contacts.html. Copies of the documents filed with the SEC by Celgene will be available free of charge on Celgene’s internet website at http://www.celgene.com under the tab “Investors” and under the heading “Financial Information” and subheading “SEC Filings” or by contacting Celgene’s Investor Relations Department at ir@celgene.com. BMS, Celgene, and their respective directors and executive officers may be considered participants in the solicitation of proxies in connection with the proposed transaction. Information about the directors and executive officers of BMS is set forth in its Annual Report on Form 10-K for the year ended December 31, 2017, which was filed with the SEC on February 13, 2018, its proxy statement for its 2018 annual meeting of stockholders, which was filed with the SEC on March 22, 2018, and its Current Report on Form 8-K, which was filed with the SEC on August 28, 2018. Information about the directors and executive officers of Celgene is set forth in its Annual Report on Form 10-K for the year ended December 31, 2017, which was filed with the SEC on February 7, 2018, its proxy statement for its 2018 annual meeting of stockholders, which was filed with the SEC on April 30, 2018, and its Current Reports on Form 8-K, which were filed with the SEC on June 1, 2018, June 19, 2018 and November 2, 2018. Other information regarding the participants in the proxy solicitations and a description of their direct and indirect interests, by security holdings or otherwise, will be contained in the joint proxy statement/prospectus and other relevant materials to be filed with the SEC regarding the proposed transaction when they become available. You may obtain these documents (when they become available) free of charge through the website maintained by the SEC at http://www.sec.gov and from Investor Relations at BMS or Celgene as described above. This communication contains forward-looking statements within the meaning of Section 27A of the Securities Act of 1933, as amended, and Section 21E of the Securities Exchange Act of 1934, as amended. You can generally identify forward-looking statements by the use of forward-looking terminology such as “anticipate,” “believe,” “continue,” “could,” “estimate,” “expect,” “explore,” “evaluate,” “intend,” “may,” “might,” “plan,” “potential,” “predict,” “project,” “seek,” “should,” or “will,” or the negative thereof or other variations thereon or comparable terminology. These forward-looking statements are only predictions and involve known and unknown risks and uncertainties, many of which are beyond BMS’ and Celgene’s control. Statements in this communication regarding BMS, Celgene and the combined company that are forward-looking, including projections as to the anticipated benefits of the proposed transaction, the impact of the proposed transaction on BMS’ and Celgene’s business and future financial and operating results, the amount and timing of synergies from the proposed transaction, the terms and scope of the expected financing for the proposed transaction, the aggregate amount of indebtedness of the combined company following the closing of the proposed transaction, expectations regarding cash flow generation, accretion to non-GAAP earnings per share, capital structure, debt repayment, adjusted leverage ratio and credit ratings following the closing of the proposed transaction, BMS’ ability and intent to conduct a share repurchase program and declare future dividend payments, the combined company’s pipeline, intellectual property protection and R&D spend, the timing and probability of a payment to the contingent value right consideration, and the closing date for the proposed transaction, are based on management’s estimates, assumptions and projections, and are subject to significant uncertainties and other factors, many of which are beyond BMS’ and Celgene’s control. These factors include, among other things, effects of the continuing implementation of governmental laws and regulations related to Medicare, Medicaid, Medicaid managed care organizations and entities under the Public Health Service 340B program, pharmaceutical rebates and reimbursement, market factors, competitive product development and approvals, pricing controls and pressures (including changes in rules and practices of managed care groups and institutional and governmental purchasers), economic conditions such as interest rate and currency exchange rate fluctuations, judicial decisions, claims and concerns that may arise regarding the safety and efficacy of in-line products and product candidates, changes to wholesaler inventory levels, variability in data provided by third parties, changes in, and interpretation of, governmental regulations and legislation affecting domestic or foreign operations, including tax obligations, changes to business or tax planning strategies, difficulties and delays in product development, manufacturing or sales including any potential future recalls, patent positions and the ultimate outcome of any litigation matter. These factors also include the combined company’s ability to execute successfully its strategic plans, including its business development strategy, the expiration of patents or data protection on certain products, including assumptions about the combined company’s ability to retain patent exclusivity of certain products, the impact and result of governmental investigations, the combined company’s ability to obtain necessary regulatory approvals or obtaining these without delay, the risk that the combined company’s products prove to be commercially successful or that contractual milestones will be achieved. Similarly, there are uncertainties relating to a number of other important factors, including: results of clinical trials and preclinical studies, including subsequent analysis of existing data and new data received from ongoing and future studies; the content and timing of decisions made by the U.S. FDA and other regulatory authorities, investigational review boards at clinical trial sites and publication review bodies; the ability to enroll patients in planned clinical trials; unplanned cash requirements and expenditures; competitive factors; the ability to obtain, maintain and enforce patent and other intellectual property protection for any product candidates; the ability to maintain key collaborations; and general economic and market conditions. Additional information concerning these risks, uncertainties and assumptions can be found in BMS’ and Celgene’s respective filings with the SEC, including the risk factors discussed in BMS’ and Celgene’s most recent Annual Reports on Form 10-K, as updated by their Quarterly Reports on Form 10-Q and future filings with the SEC. It should also be noted that projected financial information for the combined businesses of BMS and Celgene is based on management’s estimates, assumptions and projections and has not been prepared in conformance with the applicable accounting requirements of Regulation S-X relating to pro forma financial information, and the required pro forma adjustments have not been applied and are not reflected therein. None of this information should be considered in isolation from, or as a substitute for, the historical financial statements of BMS or Celgene. Important risk factors could cause actual future results and other future events to differ materially from those currently estimated by management, including, but not limited to, the risks that: a condition to the closing of the proposed acquisition may not be satisfied; a regulatory approval that may be required for the proposed acquisition is delayed, is not obtained or is obtained subject to conditions that are not anticipated; BMS is unable to achieve the synergies and value creation contemplated by the proposed acquisition; BMS is unable to promptly and effectively integrate Celgene’s businesses; management’s time and attention is diverted on transaction related issues; disruption from the transaction makes it more difficult to maintain business, contractual and operational relationships; the credit ratings of the combined company declines following the proposed acquisition; legal proceedings are instituted against BMS, Celgene or the combined company; BMS, Celgene or the combined company is unable to retain key personnel; and the announcement or the consummation of the proposed acquisition has a negative effect on the market price of the capital stock of BMS and Celgene or on BMS’ and Celgene’s operating results. No assurances can be given that any of the events anticipated by the forward-looking statements will transpire or occur, or if any of them do occur, what impact they will have on the results of operations, financial condition or cash flows of BMS or Celgene. Should any risks and uncertainties develop into actual events, these developments could have a material adverse effect on the proposed transaction and/or BMS or Celgene, BMS’ ability to successfully complete the proposed transaction and/or realize the expected benefits from the proposed transaction. You are cautioned not to rely on BMS’ and Celgene’s forward-looking statements. These forward-looking statements are and will be based upon management’s then-current views and assumptions regarding future events and operating performance, and are applicable only as of the dates of such statements. Neither BMS nor Celgene assumes any duty to update or revise forward-looking statements, whether as a result of new information, future events or otherwise, as of any future date. * The schedules and exhibits have been omitted to Item 601(b)(2) of Regulation S-K. BMS agrees to furnish supplementally a copy of such schedules and exhibits, or any section thereof, to the SEC upon request. Bristol-Myers Squibb Company is engaged in the discovery, development, licensing, manufacturing, marketing, distribution and sale of biopharmaceutical products. The Company’s pharmaceutical products include chemically synthesized drugs, or small molecules, and products produced from biological processes called biologics. Small molecule drugs are administered orally in the form of a pill or tablet. Biologics are administered to patients through injections or by infusion. It offers products for a range of therapeutic classes, which include virology, including human immunodeficiency virus (HIV) infection; oncology; immunoscience; cardiovascular, and neuroscience. Its late-stage investigational compounds that are in Phase III clinical trials include Beclabuvir, BMS-663068 and Prostvac.